For such small muscles the scalenes cause a huge amount of pain in a large range of the body. When clients come in I often check the anterior scalene if they have issue with any of the following: arm pain, hand pain, thoracic outlet syndrome, headaches, migraines, chest pain and carpal tunnel syndrome. 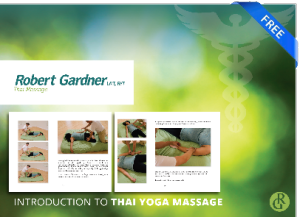 Being able to work on and release the scalenes effectively is an important part of any bodyworker’s tool chest. You place gentle broad finger pressure on the muscle and hold. Have whoever you’re working on breathe and see if the muscle begins to give way. The upper portion often refers pain into the head the lower half down into the chest and arm. If you do not tell the client this notice that they’ll start moving their hand on the side you’re working as they feel the sensation. The carotid artery is nearby and is fine, just don’t press into it if you feel the pulse underneath. When it doubt don’t. Take your time, breathe, go slow and use your hands effectively. Try working it on yourself and see how tight the muscle is.